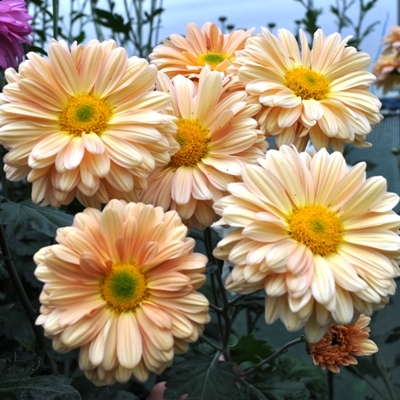 You cannot add "Chrysanthemum Peach Enbee Wedding 29d" to the basket because the product is out of stock. New introduction for 2019 from Rod Fox. 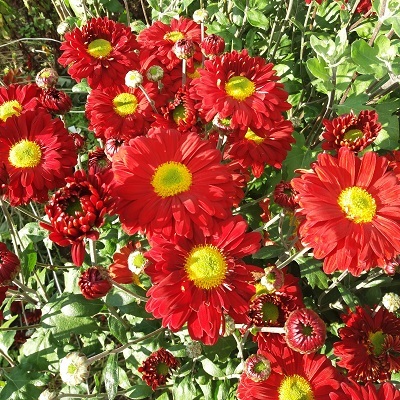 This is a bright red with a good central disc and well spaced pedicels, very similar to Finn Little though this, in Rod’s words, is a much better flower for the exhibitor, with more even petal distribution and better control over flowering time. Grows to 1.2m. Stopping strong growing plants approx. 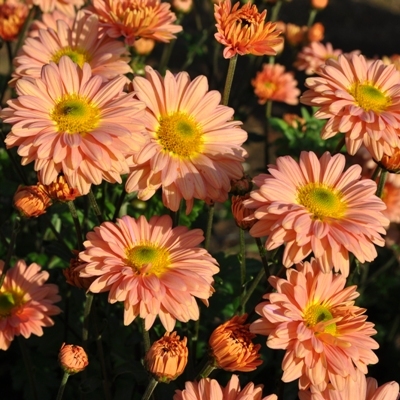 mid-May and allowing plants to produce 3 or 4 flowering stems will give flowers in mid September though exhibitors would normally restrict to growing this just 3 stems.. Earlier or later “stopping” (the removal of the growing tip) will result in earlier of later flowers. Stopping dates given are approximate date only and based on the North East. Growers further North should be aiming for an earlier stopping date whilst those in the South should delay stopping by about 2 weeks.